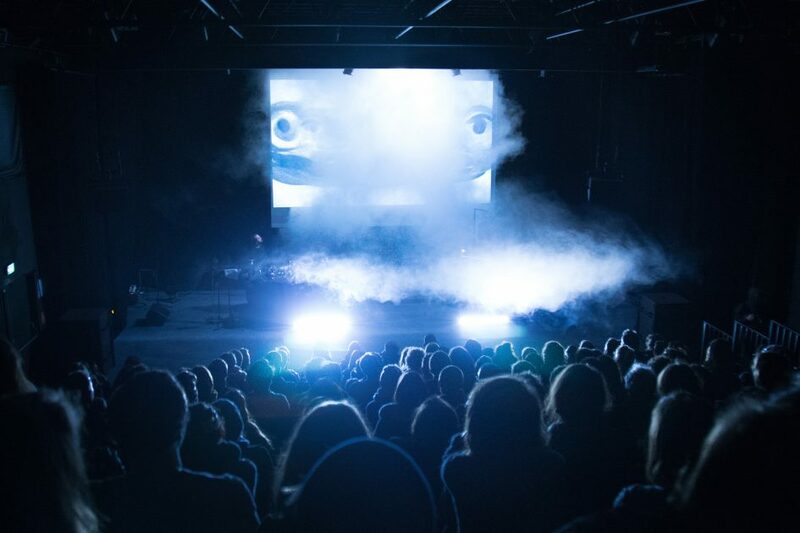 Audiovisual performance ‘The Mirror and the Mask’ plays with the boundaries of space, time and identity, seamlessly blending manipulated physical objects with their digital counterparts. A world of smoke and deception. ‘The Mirror and the Mask’ is a collaborative performance by multimedia artist Pierce Warnecke and composer Yair Glotman. Warnecke blends real-time manipulation of physical objects, fluids and smoke with digital images and effects. Likewise, Glotman uses the sounds of acoustic instruments and a steel plate and digitally transforms them. Like true alchemists, they experiment with the transmutation of sound and vision from the physical to the digital realm. ‘The Mirror and the Mask’ is commissioned by Mirage Festival (Lyon). Original from California, Pierce Warnecke worked for 10 years in France before graduating from Berklee College of Music de Boston. He currently lives in Berlin and in 2013 completed his Meisterschüler studies at Universität der Kunst, in Berlin. He is a media artist whose focus is equally split between aural and visual mediums and the many types of relationships between them. Yair Elazar Glotman is a musician and sound artist living and working in Berlin. His work has been played at various sound venues including ZKM Center for Art and Media Karlsruhe, KW Institute for Contemporary Art and LEAP Gallery. Pierce Warnecke is a sound and video artist from the US, based in Europe. His works have been commissioned by CTM Festival, Deutschlandradio Kultur, ORF Musikprotokoll and Mirage Festival.